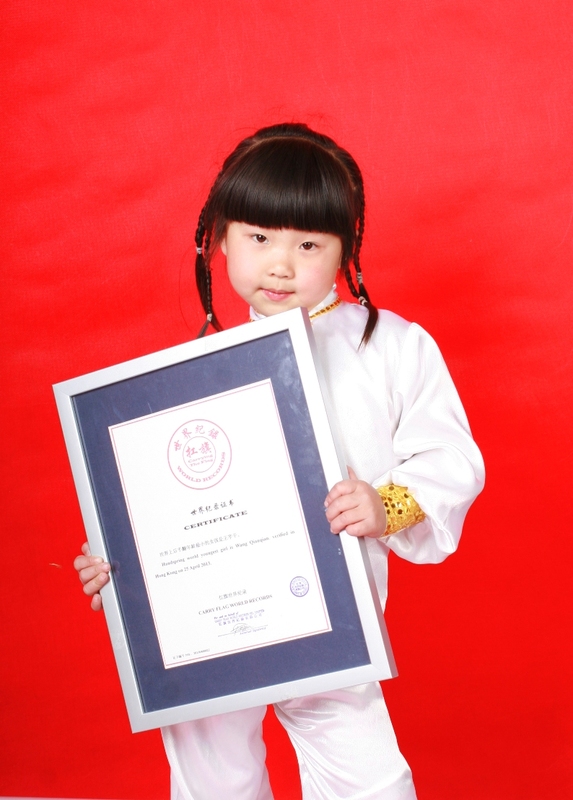 World Record Title: World handspring youngest girl Wang Qian. Handspring world youngest girl is Wang Qianqian. verified in Hong Kong on 25 April 2013.